Since World War II, the federal government has provided a mortgage loan benefit for those who have served in the U.S. Armed Forces. Originated under the GI Bill, this program is generally referred to as a VA (Veterans Affairs) loan. It has several advantages over other loan programs and has its own unique guidelines. Here, Mark Wells answers general questions about the VA loan program. Do I have to be a discharged veteran to be eligible? No, active duty military may also be eligible, including reservists. What determines eligibility? Generally speaking, anyone with four full years of active duty in any of the services (or in the Coast Guard) will have full eligibility. If a veteran had combat duty during his service, no minimum length of service is required. Reservists with six to eight years active reserve are generally eligible as well. The VA must issue a Certificate of Eligibility to each veteran confirming eligibility. How do I get this certificate? Your mortgage broker can usually pull it up electronically for you. If not, a broker can route you to the proper VA office for this. What is the most significant benefit to a VA loan? 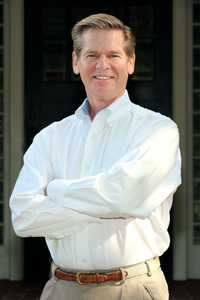 VA loans provide 100 percent financing on any purchase, and there is no monthly PMI premium associated with a VA loan. For a $175,000 purchase, this saves a borrower $8,750 in down payment, and saves $110 per month in PMI premiums compared to a conventional loan. What kind of credit is needed to qualify? In most cases, a 620 credit score is required. If there has been a major credit disruption in the past, VA usually requires a 12-month clean payment history to overcome the past problems. Can I refinance my home using a VA loan? Yes. This little-known benefit allows veterans to refinance a non-VA loan using a VA program, saving the borrower the monthly cost of a PMI premium, compared to refinancing with a conventional loan. This option should always be considered when refinancing. I currently have a VA loan. Can I refinance it using VA? This is one of the best benefits of all. 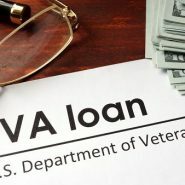 VA offers a streamline refinance loan that is quoted at a rate where there are no closing costs at all to the veteran other than funding the new escrow account. The veteran receives an escrow refund from his current lender once they are paid off, so this becomes a truly “no cost” refinance loan. I welcome questions or comments and can be reached at (864) 235-9596, or by e-mail at Mark@TheGreatestRates.com. Preferred Financial Services offers VA loans and can assist with obtaining Certificates of Eligibility and credit qualifying for any veteran.